War Grave Register notes: GLASBY, Lce. Cpl. Thomas Lambert, 148. 11th Australian Light Horse. 7th Aug., 1916. 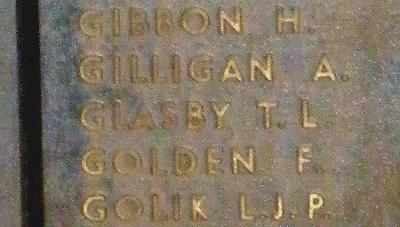 Son of Robert Ingram Glasby and Jane Glasby, of Oakey, Queensland. Native of Dalby, Queensland. Previous military service Served in Cadets in Tasmania. Family/military connections Cousin: 6974 Pte George Ellaby GLASBY, 49th Bn, killed in action, 12 October 1917.